At Nalah Africa Safaris we understand that a first time trip to Africa can be intimidating. While an African safari is often at the top of a globetrotter’s wish list, the practical considerations and ‘need-to-knows’ of such an adventure can be daunting, which is why our bespoke safari specialists are adept at assisting you in distilling your perhaps hazy safari dream into a clear, achievable reality. We offer expert guidance and up-to-the-minute information to ensure that you have peace of mind from planning your trip with us to enjoying every moment of your African adventure. After a lifetime of exposure to images of its landscapes, wildlife and cultural richness, experiencing Africa ‘in the flesh’ is so much more than just something to tick off one’s bucket list, it is a once-in-a-lifetime experience that stays with you long after you’ve left the game reserve. While you may have seen photographs of a lioness stalking its prey or animals coming together at a watering hole at sunset on a TV screen, seeing these things in real-life, in real-time is truly special. No two days on safari are the same. No postcard of the Big Five can compare to actually seeing a herd of elephant up close or hearing the deep, rumbling echo of a lion’s roar across the Savannah. There is an immediacy and a raw thrill to being on safari. The expectation of what could be around the corner, of what could cross the path of the game viewer, of which carnivore could creep out of the bush, it’s exhilarating. At Nalah Africa we design all of our bespoke safaris with a unique game viewing experience in mind. We want to give you the best possible chance of encountering the Big Five, of seeing lion, leopard, Cape buffalo, rhino, and elephant with your own eyes. We typically plan a morning and an afternoon game drive in comfortable, well-provisioned and expertly guided safari vehicles, and we arrange flights from one camp to another, which is both practically time-saving and visually memorable. Depending on the camp or lodge, we can choose between a wide range of activities, from classic game drives, mountain biking, swimming, bush picnics, cultural exchanges, bush walks and candlelight dinners to optional balloon rides, spa treatments, wine tastings, and that rarity in modern life: deep, quiet, untroubled repose. What are you looking for in a safari? You can choose between two kinds of Nalah Africa safaris in Southern Africa (Botswana, Zambia, Zimbabwe, Namibia, Mozambique and South Africa). The first being a ‘the sky is the limit’ Bespoke Safari (fully private, individually planned, short, long, sky’s-the-limit) and the second being a Classic packaged safari (a package that can be tailored to suit all needs). Both of our safari options are ideal for families and friends, and whoever you want to share this unique adventure with. You determine the budget and we will see that it is translated into the most memorable safari experience possible. We are able to create packages that range from down-to-earth to luxurious, from over-the-top extravagant to elegantly under the radar, and everything in between. Whether it’s an intimate safari for honeymooners or an action-packed itinerary for a group, Nalah Africa ensures that each and every person on each and every safari – Bespoke or Classic – is treated with the warmth, friendliness and professionalism that we have become synonymous with. Where would you like to Safari? This is possibly the toughest part of planning a safari as the four countries within our safari ‘collection’ – South Africa, Botswana, Namibia, Zambia, Zimbabwe and Mozambique – are spectacular in their own right, each demanding your undivided attention and offering the best that the magnificent continent has to offer, both in terms of incredible wildlife and extraordinary landscapes. For more detail on the different regions and what each unique location has to offer, please visit the Southern African Region page of this site. The African experience is so vast and varied that we recommend taking as much time as you can on safari. Whether you have a week to work with, a couple of weeks or even a month, we will ensure that whatever time you have is well spent. What are the camps and lodges like? At Nalah Africa we are not fans of ‘roughing it’. We don’t just like luxury, we insist on it, which is why each of our locations and accommodation sites has been lovingly chosen and experienced, personally. 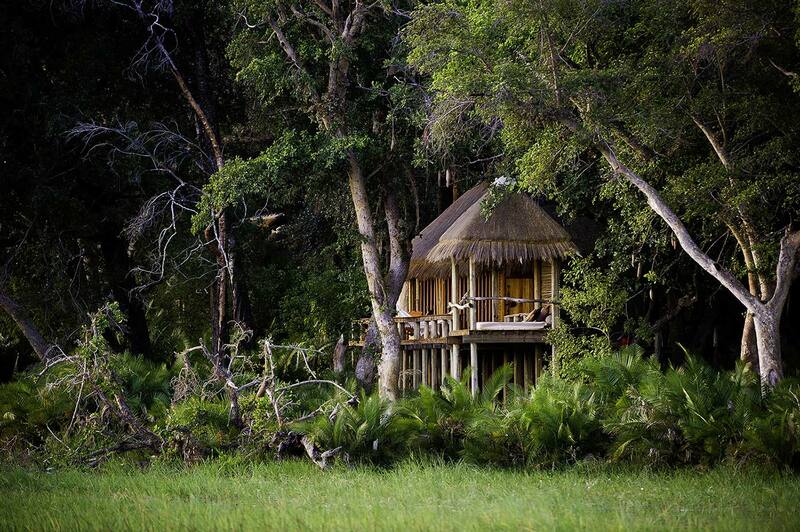 Every one of our safaris is truly, thoughtfully, and imaginatively luxurious. 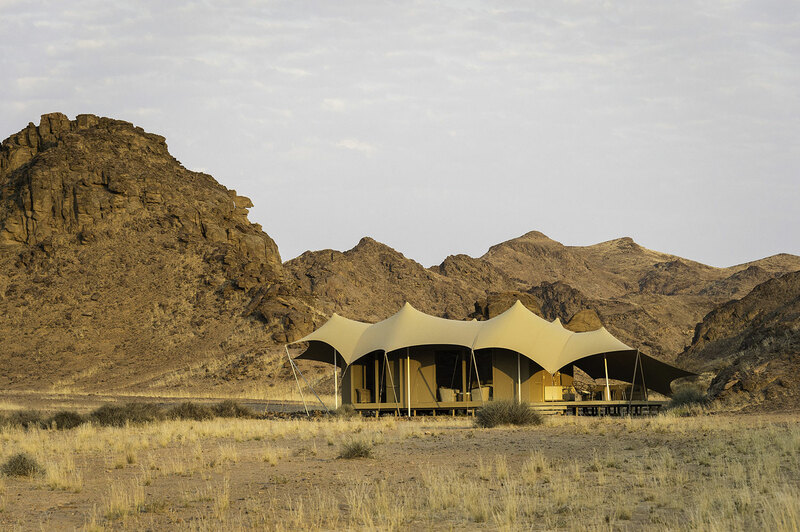 If you wish to know more, please take a look at the individual itineraries for our Classic Safari Collection and our Bespoke Collection of camps and lodges in Southern Africa. What is the difference between a camp and a lodge? Lodges typically consist of permanent cottages and a traditional manor house, or individually decorated rooms in that welcoming house, which often has multiple dining areas, outside and inside, and lush landscaping for care-free wandering. Without compromising on luxury, camps usually feature a main house and a number of luxuriously appointed tents. 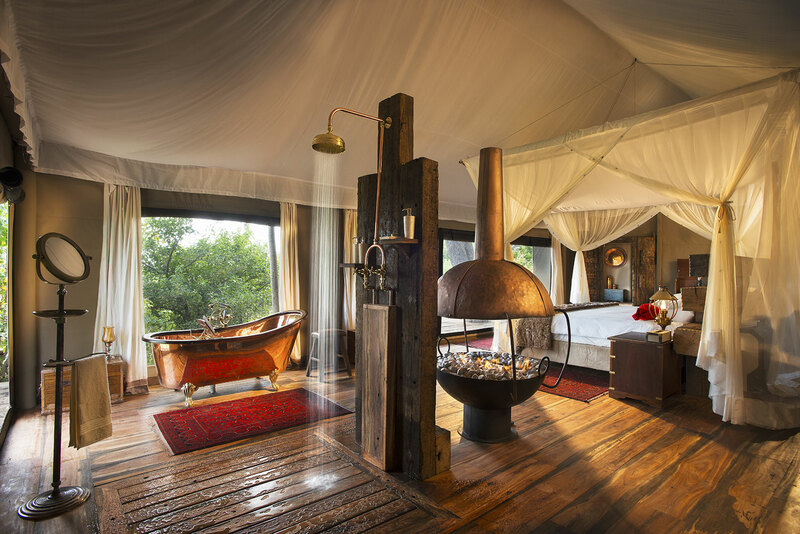 Tent design in Africa is ‘high art’ so you can rest assured that with its own en-suite bathroom, verandah and sitting area, a tent within a tented camp is definitely not ‘camping’. From newlyweds to avid globetrotters, from bird-watching enthusiasts to big game fans, from groups of family and friends looking for a vibrant vacation to celebrities looking for discretion and privacy, our bespoke safaris cater to a range of people, preferences, budgets, schedules and wish lists so whoever you choose to join you on safari be prepared to make memories.